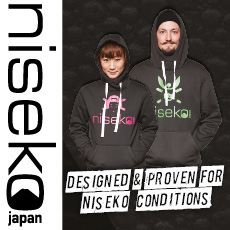 Made from buckwheat flour, the history of Japanese soba noodles supposedly date further back to the Jomon period. 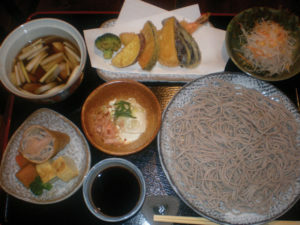 The famous haiku masters used the word soba to indicate autumn or winter in which the haiku takes place; still now, soba fans look forward to every autumn for noodles made with newly harvested buckwheat, and eating Toshikoshi soba, a symbol of longevity on the New Year’s Eve remains an important custom among many Japanese. 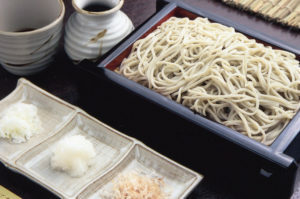 In order to take advantage of its innumerable health benefits, there are a fair number of non-noodle forms, including buckwheat tea (soba-cha), mochi-like buckwheat dumplings (sobagaki), distilled buckwheat beverage (soba shochu), just to name a few. Ranging from the slurp-and-go standing soba shops serving busy Japanese businessmen in train stations to the high-end soba restaurants offering traditional Japanese multi-course haute cuisine, soba has been expanded to integrate culinary specialties within the different regions of Japan. Hokkaido is the largest buckwheat producing prefecture, and local spring water, fresh air, and delicious produce, all contribute to bump the quality of the dish up to an even higher level. 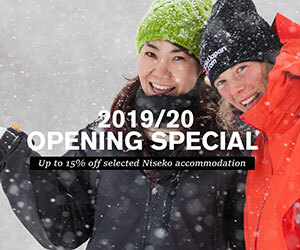 Here are some of acclaimed local soba eateries providing excellent meals in the Niseko area. A family-owned restaurant sourcing the buckwheat directly from their own farm (recently earned Global G.A.P certification) and milling their own flour for noodles. It’s okay to get carried away by stunning views out the window, but don’t forget to try some buckwheat tea while waiting for your meal. Oroshi Soba is very refreshing with grated daikon radish and other condiments, popular Kamo Seiro, cold soba with slices of grilled duck in a warm dipping sauce. Nestled in the beautiful countryside, you will be able to forget the busy everyday world and enjoy a plate comprised of farm-fresh ingredients. Using the perfect ratio of black sesame seeds to buckwheat flour, the owner couple makes their own fresh goma (sesame) soba in-house. 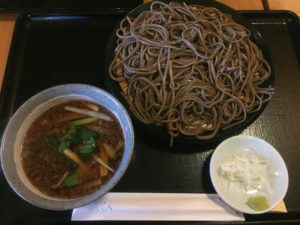 This place lets you enjoy a very rich flavour of goma soba noodles – try out condiments such as spring onions, wasabi, and chili pepper by applying onto the noodles or mixing in the dipping sauce. You need to add Winter Special Tempura Soba to your food bucket list. Conveniently located in downtown Kutchan, Usagiya offers great dinner options to keep your tummy warm and full on a chilly winter night. 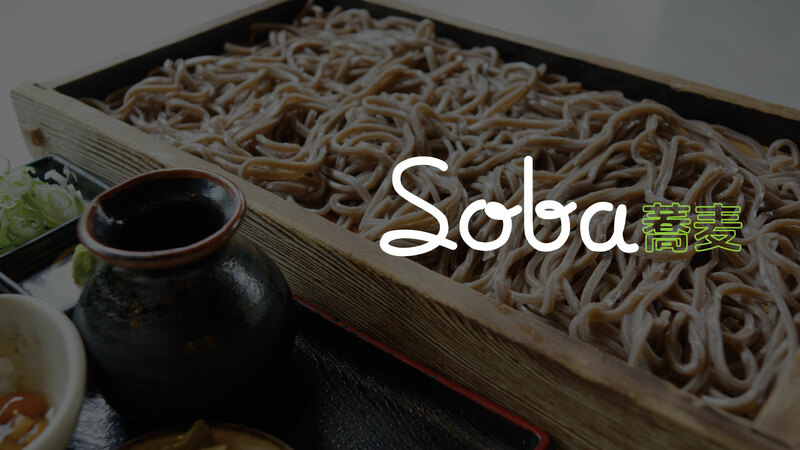 Experience the real Japan by witnessing the art of soba making. Freshly kneaded and freshly cooked, the master chef offers an exquisite dining experience right at your beautiful accommodation. Such a rare opportunity to get acquainted with traditional cuisine that you may become more Japanese than the vast majority of Japanese. Sample a few strands of noodle and experience the perfect texture and chewiness – you will be stunned at its sweet flavour. Regardless of the temperature of the noodles, slurping is acceptable in Japan, so dip them into the soup and slurp away. 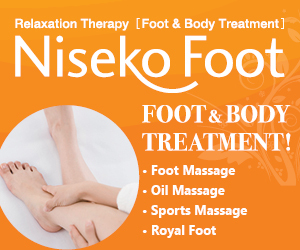 The menu and dining style can be adapted to give you the utmost in flexibility. 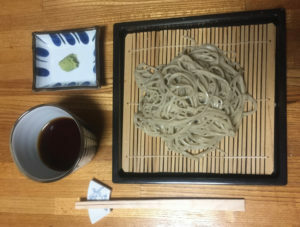 Note that Ni-hachi (2:8 ratio of a filler and the buckwheat flour) soba is commonly served, but if you are a soba connoisseur, go for darker-coloured 100% buckwheat Juwari soba before they sell out for the day. 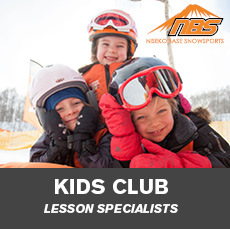 Their menu offers original dishes as well as old favourites. Tanuki Seiro is a simple yet delicious choice, Curry Soba proves that noodle broth and curry make a delicious combination. At the end of your meal, try slurp down the very last drop. 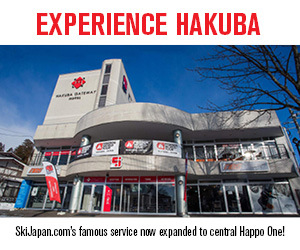 Ichimura has speedy service, so don’t worry about any long lines. Plus, good meals come to those who wait, right?